For in-store inquiries, use sku #2389401. 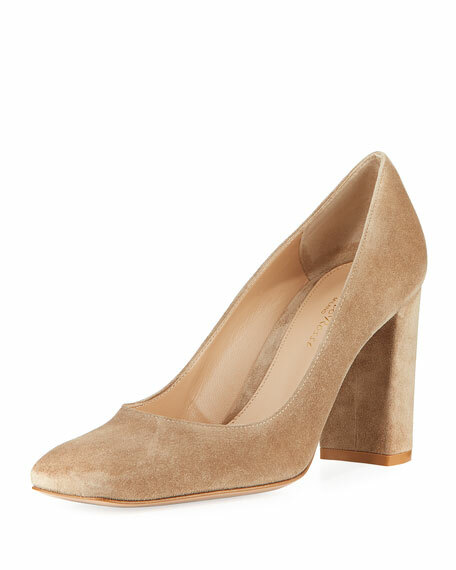 Gianvito Rossi suede pump. 3.3" covered block heel. Square toe. Leather lining and sole. Slip-on style. Made in Italy.